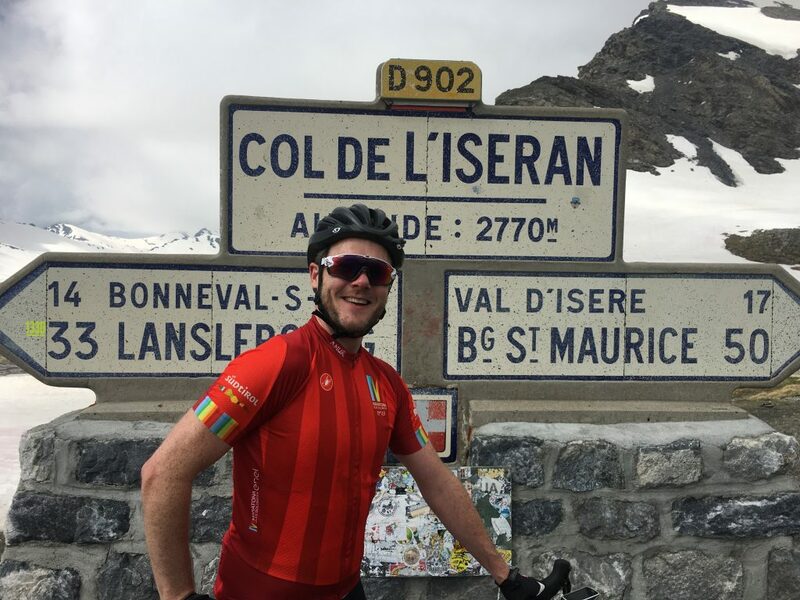 As the highest pass (and second highest paved road) in the Alps, the 2,770m Col d’Iseran is on most cyclists bucket list of French cycling climbs. 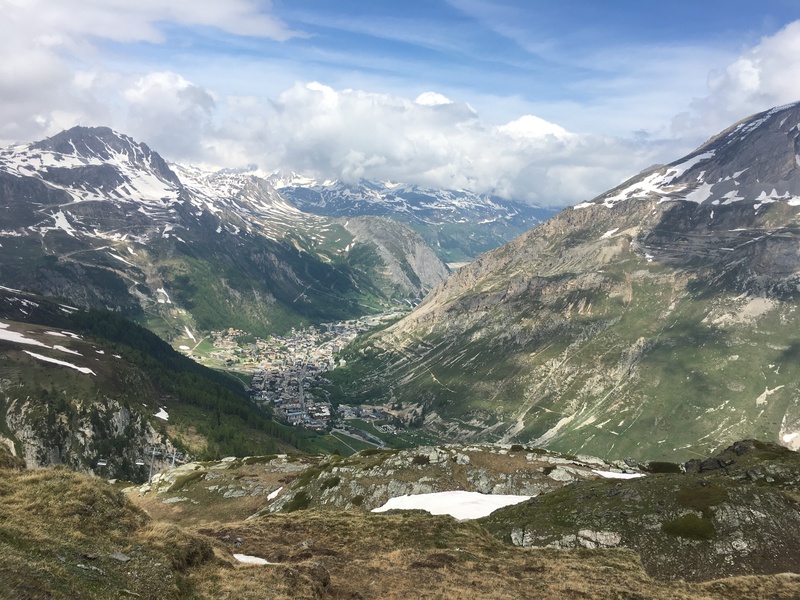 We started the climb in the picturesque village of Van D’Isere. 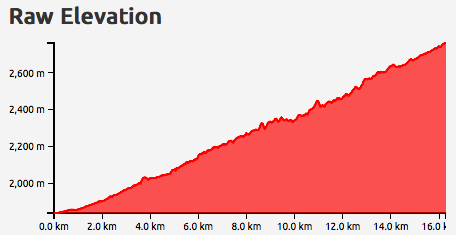 Leaving us with 17km and around 1000m of climbing. 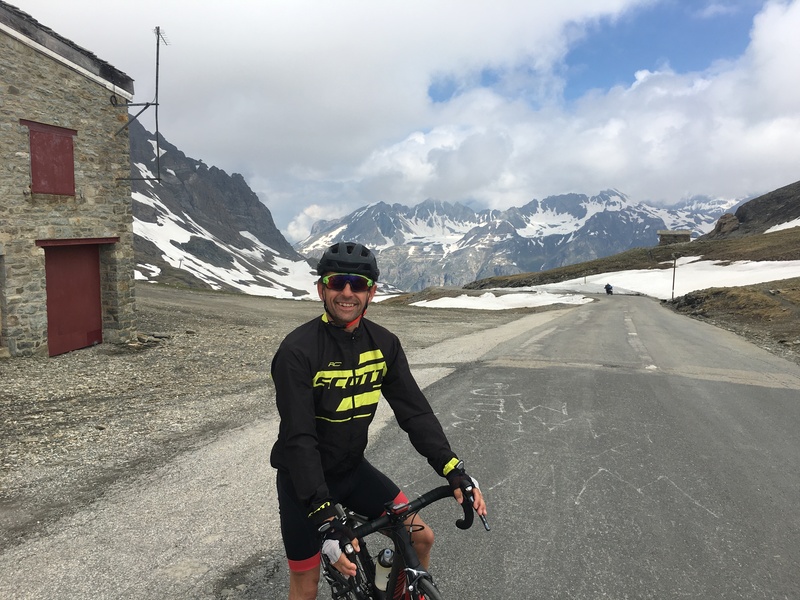 Technically you could start the climb back in Bourg Saint-Maurice where we were staying but afternoon flights meant we had to be up and out, no chance of a full day in the saddle. 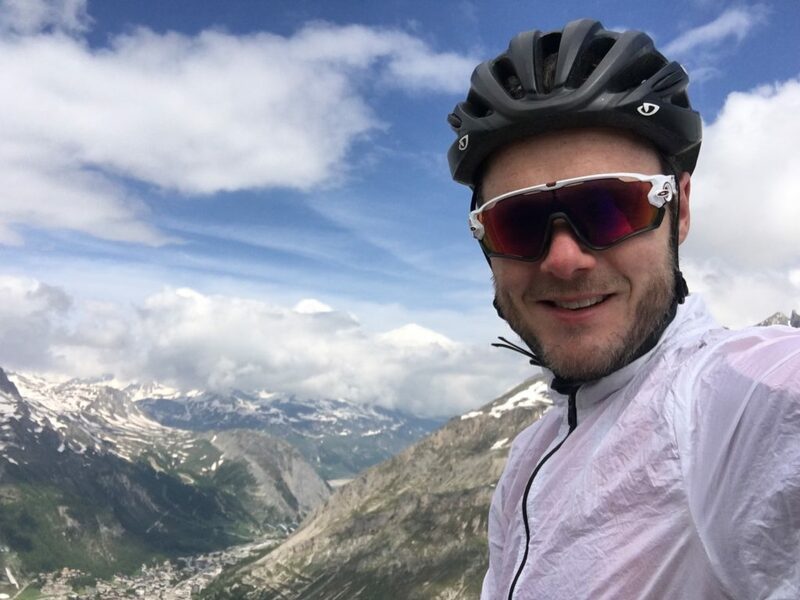 It’s worth noting that the ride from Bourg to Val D’Isere has a number of dark tunnels making front and back blinkers a recommendation, and is a busy road on weekdays with trucks and vans so not the most pleasant to ride on. 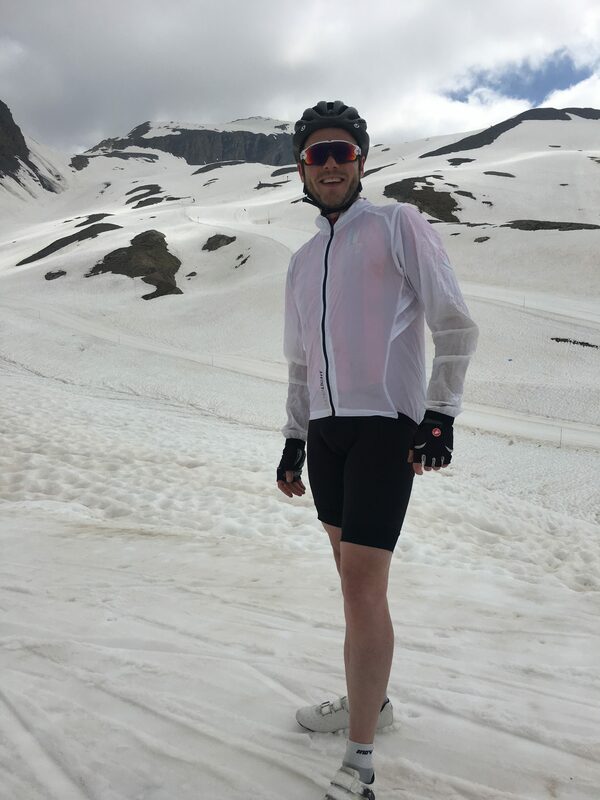 Leaving Val D’Isere the climb averages 6% and rarely tops 8% so it’s easy to slip into a rhythm. But as the altitude rises you can feel the oxygen in the air draining away, breathing becomes harder and keeping power becomes more tricky. It climbs through Alpine meadows dotted with streams, waterfalls and wild flowers. 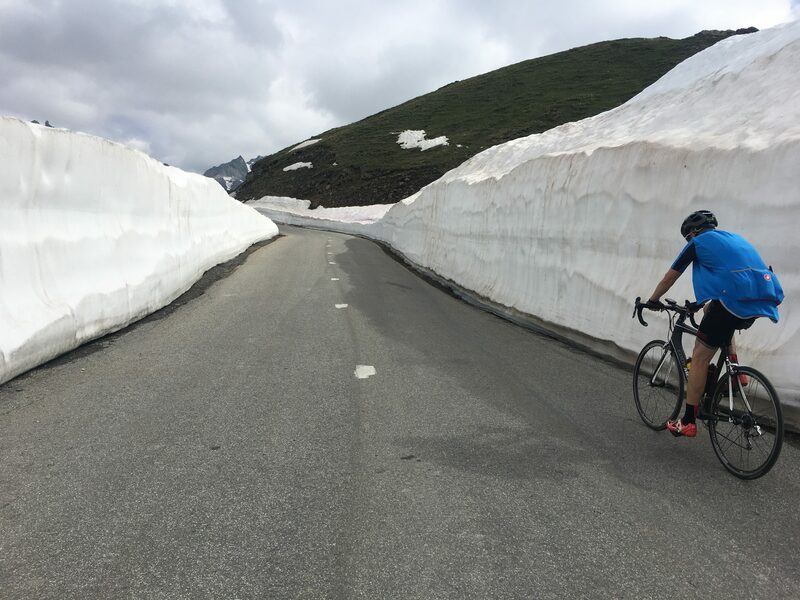 As you climb higher so does the snow on either side of the road – technically we were riding up the road before it opened for the season, the only block though was the road down to Bonneval. Reaching the summit we took the obligatory selfie by the road marker, spotting one of the ski lifts still open we took the short ride to the cafe to watch the last of the seasons skiers and snowboarders making the most of the snow before it melts for the year. 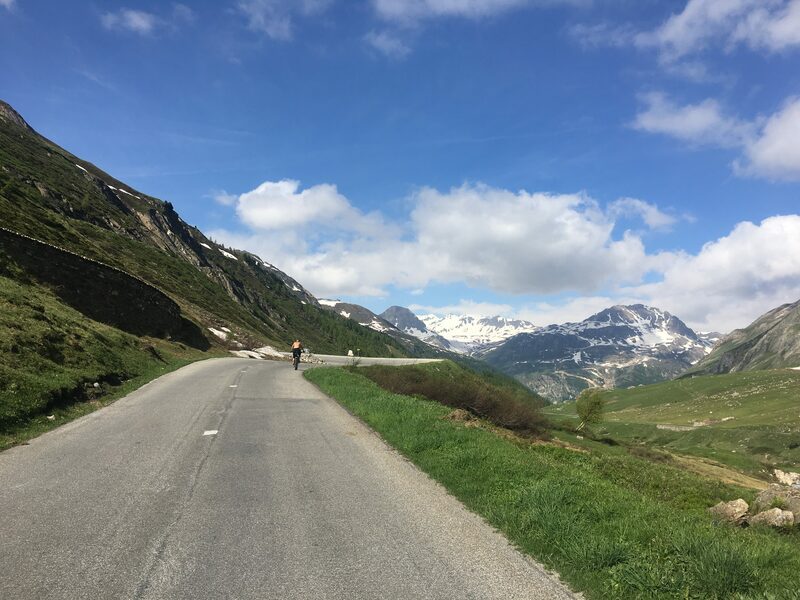 Sticking on the wind blocker we then had the beautiful descent down the hill – 17km of pure mountain bliss ready to stop in the Boulangerie in town for a coffee and cake before packing the bikes away and heading for the flight home. Me posing at the top!